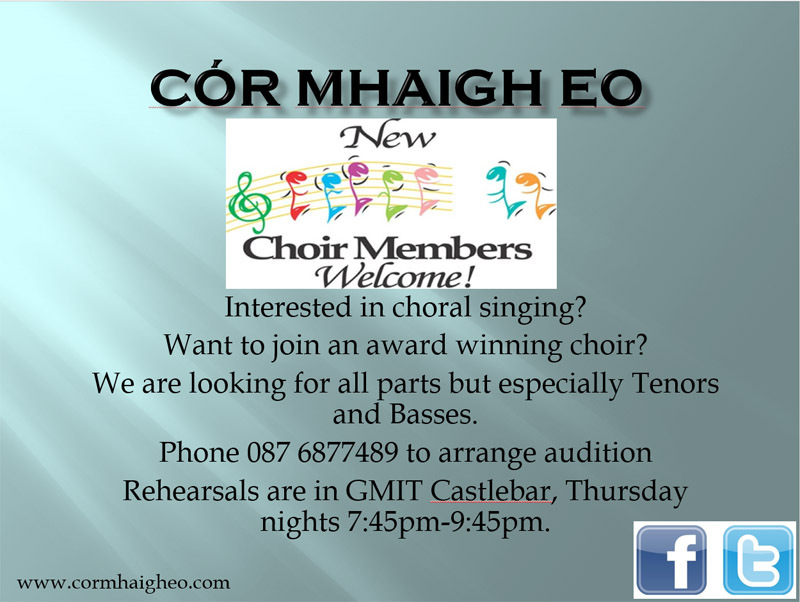 Cór Mhaigh Eo New Choir Members Welcome Interested in choral singing? Want to join an award winning choir? We are looking for all parts but especially Tenors and Basses. Phone 087 6877489 to arrange audition Rehearsals are in GMIT Castlebar, Thursday nights 7:45pm-9:45pm.